Below is the original website. 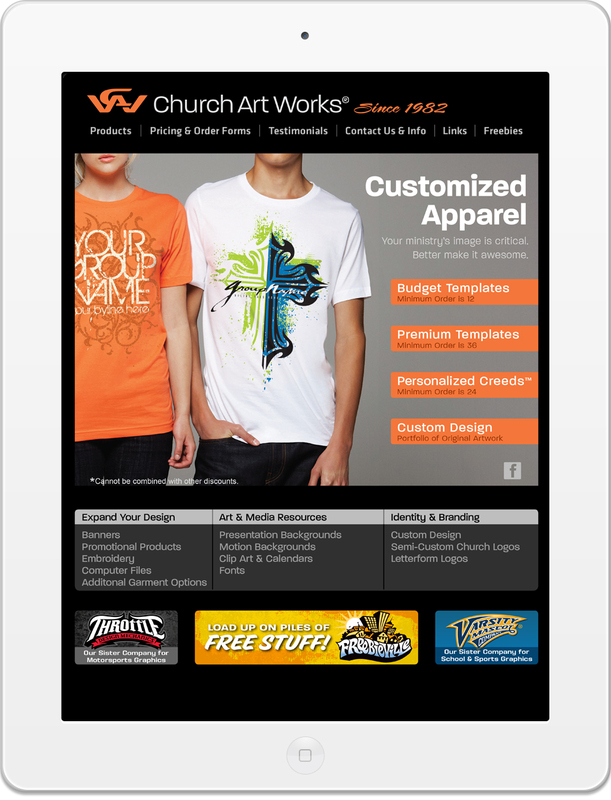 One of the first self-appointed challenges I undertook when hired at Adamson Design Group was to revamp the homepage of Church Art Works. The original design had no clear hierarchy, thus making it difficult for the user to access content efficiently. The design I created focuses on the company's primary business– customized apparel. This redesign has proven highly accessible and has made it easier for the viewer to understand what the services the company offers. To the left is my redesign.